That has to be one of my favorite moments of a wedding. I guess because we all know whats coming next. THE KISS. Followed by complete joy from both the bride and the groom. Seleana and Stephen were no exception. You can tell that there was a lot of love and joy put into this day because she coordinated and crafted this day to be exactly what they wanted. Just check out her necklace and boots! The bride rocked her dress, got her hair did, and looked stunning all while making sure the day came together. You see when I first met Seleana I realized very quickly she was a strong-willed, fierce woman... and I knew we would be friends. You have to admire a woman who is a leader and commands an audience. Stephen on the other hand, sits back, smiles and laughs at just about everything and trust me we are not that funny (maybe that was the beer talkin but I think I have him pegged). One thing was for sure about Stephen and Seleana, they love their families and especially their three GORGEOUS daughters. All who were there to celebrate their day with them. 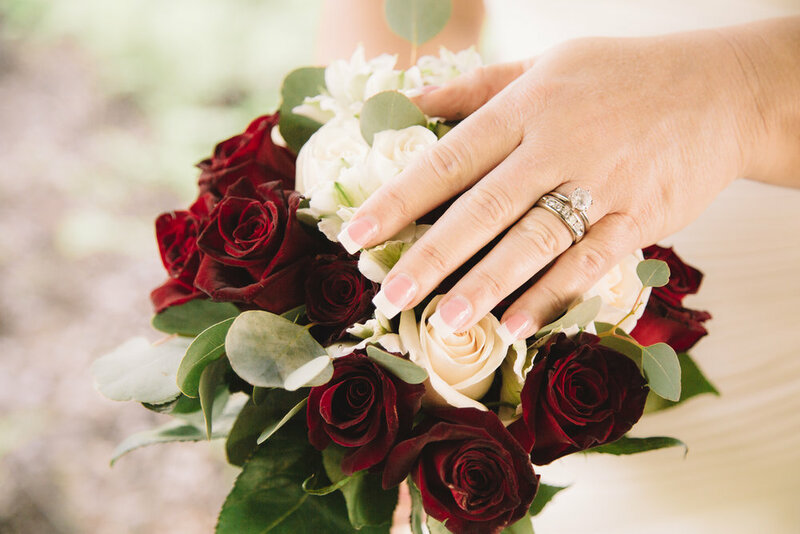 In a quaint little cabin that doubled as a bridal suite, the girls adorned their dresses and put on their boots. 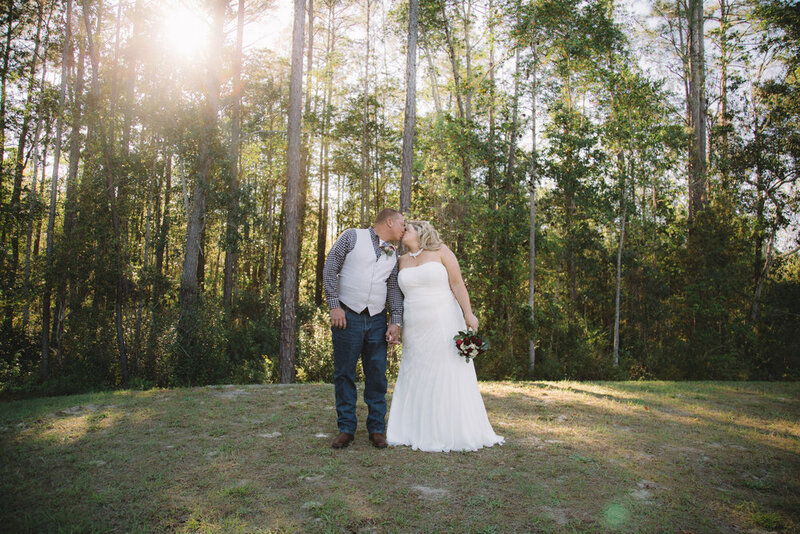 The Hammock, Highland Park Fishcamp's adorable wedding venue that is tucked away sitting under a canopy of trees is the perfect setting if you are looking for a venue to host a charming country wedding. 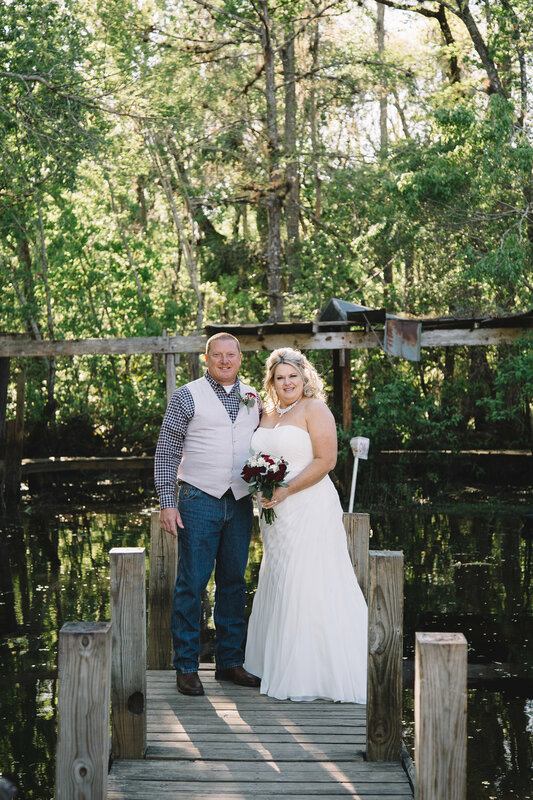 There is a super adorable stage that you can get married on, an area large enough for a dance floor, bar, buffet line, and even picnic tables for all your guests to have dinner at. Lets not forget about the fire pit and chairs that were SO needed because it ended up being in the 40's, in April Y'all! But that didn't stop the party!! The party started off with adult beverages provided by the bride and groom and delicious BBQ from Blind Mullet. Does it get any better than BBQ?? I don't think so but thats just me. After portraits on the dock as the sun was setting, the night ended with dancing, a serenade from a special guest, and karaoke from Stephen and his girls <3 Check it out! !